I really didn’t want this design board to scream red…I think using colors of now really gives it the twist this ‘theme’ needs. 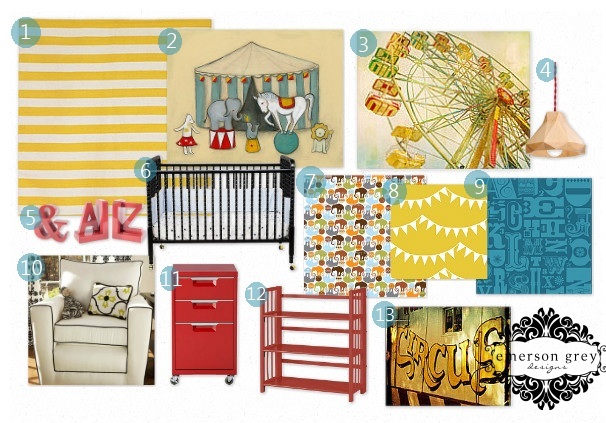 Love this theme, never thought about it for a nursery before. I especially love that ampersand & A-Z bookends. Really cute!